New Bremen is located at the northern end of a stretch of canal known as the Loramie Summit. Lock 1S on the southern end of the summit was located at Lockington (now Fort Loramie). Lock 1N on the north end of that summit is where New Bremen is located. The Miami and Erie Canal was over 244 miles long and was built between 1825 and 1845. The canal became the focal point of commerce for the new town. Many of New Bremen's founders, made up mostly of Bavarians and Hannovarians, came directly from Bremen, Germany. After landing along the east coast, they made their way west along the National Road to Wheeling, and then took another long boat ride down the harrowing Ohio River until they reached Cincinnati. When a group of these settlers arrived in Cincinnati on July 23, 1832, 33 of them formed a group called The City of Bremen Society. Together they drew up a charter to authorize purchase land to found a Protestant town. From this early beginning, the group found 80 acres of land a the highest point of the brand new Miami & Erie Canal that was nearing completion. In honor of their homeland, they named this new community Bremen. Like many of the early towns in Ohio, as the United States Post Office began setting up offices throughout the state, the postal service discovered a number of towns with the same name. Ohio already had a Bremen, so this village added "New" to its name. The importance of the canal can still be seen at the heart of the revived downtown. 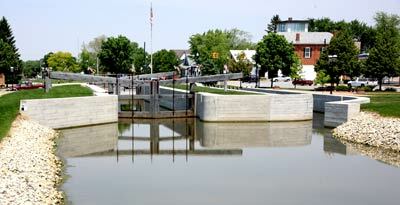 Lock #1N which was originally constructed of white oak, was rebuilt in 1910 using concrete. That 2nd lock was rebuilt and restored in 2006-2007. In 2009, ground was broken to rebuild the original lockkeeper's house that will house a Visitor's Center and museum. The museum will have on display many historical artifacts of the Miami and Erie Canal. The original house was destroyed in a controlled fired in 1968. 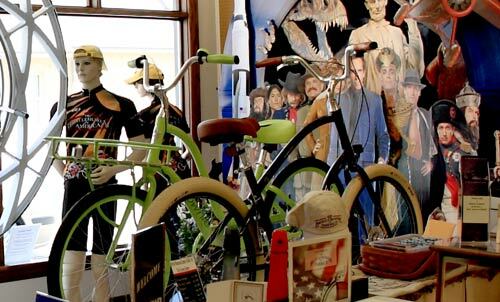 Located in the heart of downtown New Bremen is the Bicycle Museum of America. 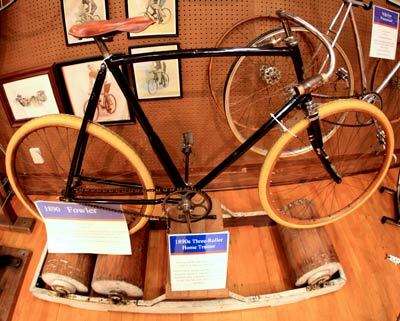 The museum is a cacophony of bicycles from the very beginning with the wooden wheeled Draissine from 1816 right up to the present. Kids of all ages will love walking through this expansive museum. Ever wonder what it felt like to ride one of those 1880s high-wheelers? 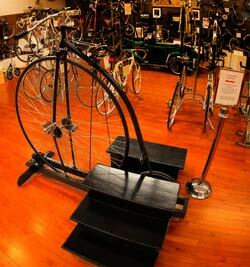 You can at the Bicycle Museum of America. They have an exhibit where you can climb atop a real high wheeler and experience the bone-shaking ride that would certainly have made TOSR a much greater challenge.